The program is free to all children who meet the eligibility criteria. The goal of the program is to close achievement gaps that exist between disadvantaged children and their more affluent counterparts. 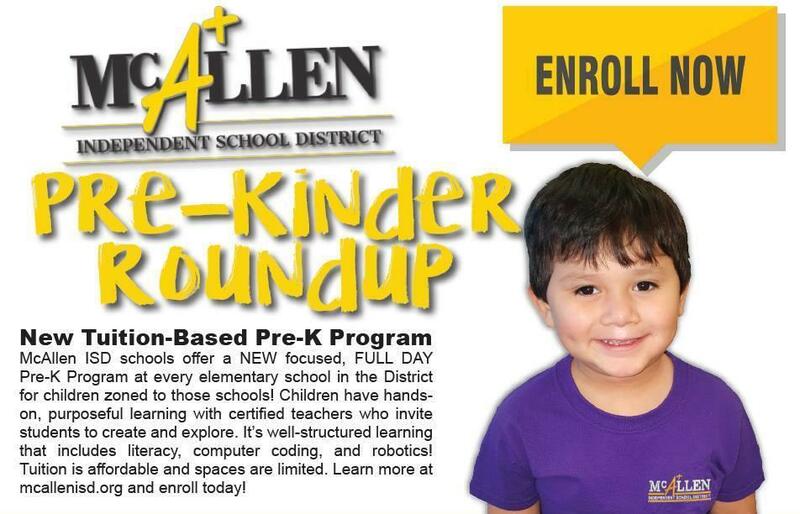 In addition to the state-mandated Pre-Kinder program, McAllen ISD also offers a tuition-based program for families who do not meet the eligibility criteria. The tuition-based program offers parents many great educational benefits at reasonable rates. 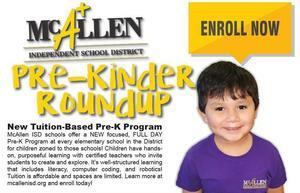 * 3 years old may attend PRE-K at our Head Start Program campuses (Roosevelt & Navarro) if they meet the requirements. To clarify, language and economic standards are set by the state and not the school district. Please call 956-618-6031 and if you cannot reach anyone there please call 956-618-6048.